From Tue 26 – Sat 30 Mar, Bristol Old Vic will welcome internationally renowned physical theatre company Gecko (The Wedding) and Fringe First-winners China Plate for a week of visually captivating, emotionally raw theatre, playing in tandem in both our main house and The Weston Studio. Gecko’s Institute is set in a warped world of emotional compartmentalisation and treatment, where memories are filed and relationships scrutinised, patients become carers and vice versa. Four men undergo a series of extraordinary physical ‘treatments’ as they struggle to prepare themselves for the outside world. This examination of modern masculinity is driven by Gecko’s desire to explore complexities in human nature, our impulse to care and our complete reliance on one another. Institute is a visually captivating, emotionally driven journey, which openly asks its audience: how do we connect to one another in a busy world of high-pressure targets and expectations? The production has received critical acclaim (★★★★ The Financial Times, ★★★★ The Independent, ★★★★★ Sydney Morning Herald), having recently toured China, Australia and the UK. Bristol-favourites Gecko last charmed audiences with their heart-pounding drama The Wedding, which played at Bristol Old Vic in 2018. Whilst Institute examines the ritual of daily life, China Plate’s The Shape of the Pain (★★★★ The Guardian) will examine the ritual of pain, based on director Rachel Bagshaw’s real-life experience of living with Complex Regional Pain Syndrome, a rare condition that leads to chronic pain after a minor injury. Developed by Rachel Bagshaw and writer Chris Thorpe, The Shape of the Pain interweaves Rachel’s personal experiences of living with Complex Regional Pain Syndrome (CRPS) with a fictional narrative about a love affair. Told through a masterful combination of sound design, lighting and projection, The Shape of the Pain immerses the audience in one woman’s experience of pain itself, exposing viewers to an exercise in empathy and providing a glimpse into what it is like to live with chronic pain. The one-woman production created by Rachel Bagshaw and writer Chris Thorpe features an original score by contemporary composer Melanie Wilson (When We Have Sufficiently Tortured Each Other, National Theatre), video and lighting design by Joshua Pharo (nominated for a 2019 Offie Award) and integrated captioning and audio description as part of its design. Gecko is an award-winning and internationally-acclaimed physical theatre company, led by Artistic Director Amit Lahav. A Gecko show is visual, visceral, ambitious theatre crafted to inspire, move and entertain. Gecko strives to make their work wide open to interpretation and put their audience at the heart of the narrative. Amit has created an organic devising process that oscillates between intense periods of experimentation, making brave leaps, learning and failing and including choreography, writing, storyboarding and reflection. Every stage includes sonic and technical development alongside the choreography. With an expanding ensemble of international performers and makers, Gecko works across diverse age groups, nationalities and forms. The company tours nationally and internationally and continues to develop strong partnerships around the world. Beyond the stage, Gecko aspires to open the doors on their process via every possible avenue, be it digital, in schools or through one-to-one relationships with their audience. 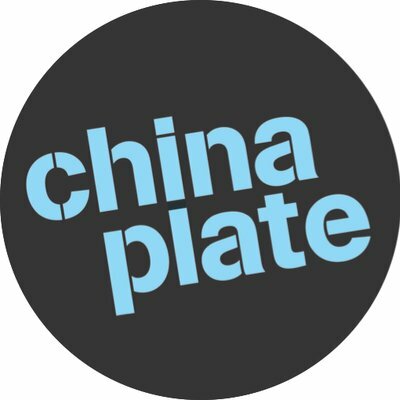 China Plate is an independent theatre studio that works with artists, venues, festivals and funders to challenge the way performance is made, who it’s made by and who gets to experience it. They are Associate Producers at Warwick Arts Centre, Artistic Associates at the New Wolsey Theatre (Directors of PULSE Festival), Programmers of New Directions (the NRTF showcase), producers of The Darkroom, The Optimists and First Bite/Bite Size Festivals. The company is currently collaborating with Caroline Horton, Chris Thorpe / Rachel Chavkin, Contender Charlie, Dan Jones, Sarah Punshon, Rachel Bagshaw, Inspector Sands, Joan Clevillé, David Edgar, Katie Lyons / Ella Grace and Ben Wright.